If you don’t have an Intel CPU, but still want to perform microcode updates, cpucontrol(8) now supports more recent AMD CPUs. The default kernel config for DragonFly has changed: Sascha Wildner has added the acpi, gpio_acpi, gpio_intel, smbus and smbacp devices. If you are using a custom kernel, you’ll probably want to add these. If you aren’t using a custom kernel – you should have no negative effect. Sepherosa Ziehau’s updated the em(4) driver for Intel network cards, with the 7.6.2 release directly from Intel. For once, Intel news not related to CPU hardware bugs. I’m already filling in next week’s Lazy Reading links, there’s so much. My favorite games of 2017. This will eat some hours of your time. This week in references: echoes, breakbeats, the new sound of music. The “Breakbeat Deconstruction” video is pleasant auditory history. USB Killer, now with pyrotechnic payload. Meanwhile is now available on Steam! Plus extra DLC comic! Meanwhile is a physical comic built as a maze, or perhaps nonlinear book, and here it is in software. The title really says it all – if you have a Coffee Lake series Intel chipset, your video is accelerated on DragonFly. This week’s BSDNow has Spectre/Meltdown followups, plus a turning of the tables: questions for the interviewers. Rimvydas Jasinskas created a loader.conf(5) hint that keeps various nata(4) devices from attaching during boot. This is super useful if it’s a device that screws up your boot process. and I think it’s also great if you get irritated having something in your dmesg every time about the device you never use, like a CDROM. DragonFly now has support for the Adaptec 1420. “Now” means since last month, cause I am working through my link backlog. The ls(1) command has a lot of options (Look at the man page synopsis!). So much so, that the most recent option added in DragonFly is “_”. That’s to show nanotime as part of the -l output. This will be most useful when you have multiple files being created within the same second of time, and you want to see which came first. Almost all of this was done within 24 hours of the last Lazy Reading. No idea why there were so many good candidates for reading, but I’m happy about it. There’s a Solarized theme for puTTY? Found by accident looking up Solarized for the previous link. Tetris on a business card. UnifrakturMaguntia: a Unicode Fraktur Font. Xerox Alto’s 3 Mb/s Ethernet: Building a gateway with a BeagleBone. Done well ahead of time. ELI5: In 2018, what are the pros and cons between Linux, FreeBSD, and macOS in terms of kernel technology and user space tools. 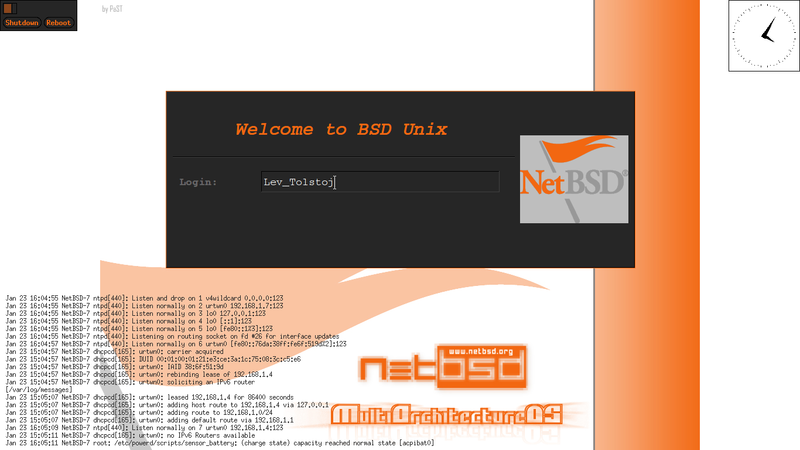 Adding IPv6 to an Nginx website on FreeBSD / FreshPorts. Certifications…are they worth it? Will they be in the future? CPU microcode update code for amd64. Hints of a new firmware update from Intel. Some thoughts on Spectre and Meltdown. I’m still catching up with the pre-2018, pre-Meltdown commits, so here’s one: Changing the staged packet count in DragonFly changes forwarding rate, for the better – up to a point. There’s probably some specific ratio in the change that makes sense, though I don’t know it. The Meltdown/Spectre talk continues on BSDNow 229, along with an interview of @newnix, GhostBSD, and other recent news. The commands rcp(1), rlogin(1), rlogind(1), rsh(1) and rshd(1) have been removed from DragonFly. There’s a net/bsdrcmds port if you still need them… though I imagine/hope ssh is filling the void for everyone. I’m sure this was needed by someone: morse(6) can now encode and decode Morse code, signified by . and – of course. to your /etc/rc.conf, as Sepherosa Ziehau points out. The regular maintenance scripts for HAMMER1 assume that it’s mounted at the time of cleanup. If you have them unmounted, they won’t go through that regular maintenance, but it’s easy enough to fix.